Kiev is the capital and largest city in the Ukraine. Its population is not officially determined, but it is estimated to be around 2.8 million. Kiev is located in the north central part of the country, and is on the Dnieper River. Kiev has a very advanced public transportation system, which incorporates the Kiev Metro, as well as buses, trams and trolley buses. This city is an important educational, cultural, scientific and industrial center of Eastern Europe. 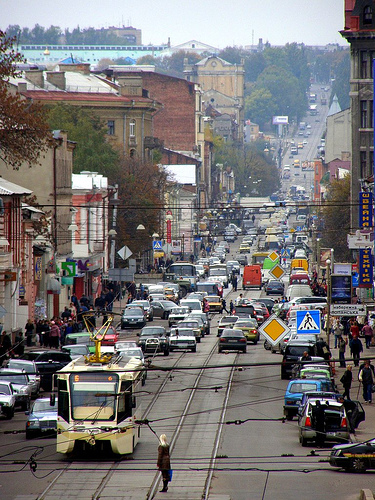 The population is comprised of mainly Ukrainians, but Russians also make up a sizable population of the city. The city is a grounds for the mix of new and old matters, as there are many modern buildings next to historic ones. Kiev has also experienced a degree of Westernization in the past decade, with the introduction of many nightclubs, upscale restaurants and tourist attractions. Nevertheless, this city remains an important historical site as one of the oldest cities in Eastern Europe. 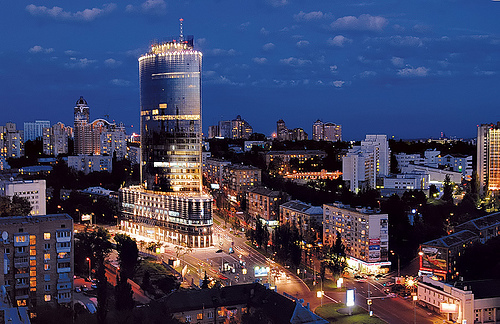 Kharkiv is the second largest Ukrainian city, with a population around 1.4 million. It is also known as Kharkov. It is located in the northeastern region of the country, and is famous for its industry, which produces much of the Ukrainian heavy machinery. Khariv is also a giant cultural, scientific, educational, and transport center. This city also has an efficient and developed public transportation system, with a small metro. Kharkiv is famous for having Freedom Square, which is Europe’s third largest city square, and it hosts all sorts of fairs, festivals, concerts and other events. Very many Russians live in Kharkiv. Odessa is located in the south of the Ukraine, and is a major sea port, fishing vessel and Naval Base on the Black Sea. Its population is around one million today. Odessa goes way back in history, having been originally founded in 1240 by the Tatars, and going through Lithuanian, Ottoman, Russian and then Soviet control, before the Ukraine became its own country. Much of the older architecture does not appear to be Russian influenced, but takes its roots in French and Italian architecture. Odessa is also home to some important oil and chemical processing facilities, and it is also a business hub. This city used to be a major Jewish center in Eastern Europe, and was the birthplace of many proto-Zionism philosophies in the 19th century. However, most of the Jewish population has since emigrated. 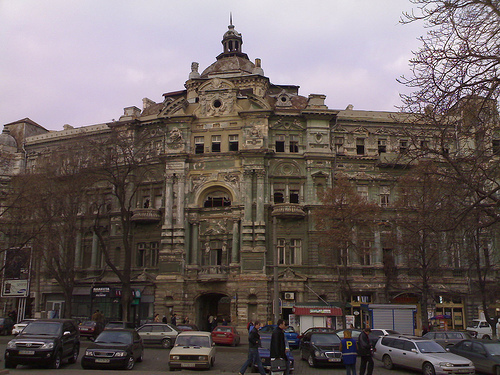 However, Odessa’s current population hosts many different ethnic groups, including Armenians, Bulgarians, Moldovans, Germans, Koreans, Russians, Turks and more.